Later today aviation history will be made, as the first Boeing 787 Dreamliner gets delivered to ANA. In this video you learn more about preparation of the first plane for this important event. 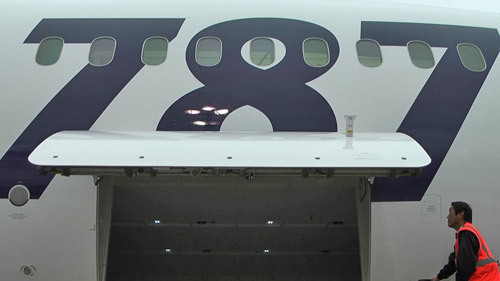 Days before delivery the 787 got an extensive, 10-hour inspection as technicians opened up every door and panel to check for flaws or defects. “Our inspection is very important. We have to receive the high-quality airplane for our customers,” says Nobutaka Tazawa, chief airplane inspector for ANA (All Nippon Airways) of Japan. Tazawa led a team of inspectors to examine the airplane. Called a “customer walk-through”, it’s a standard procedure prior to any new Boeing airplane delivery.